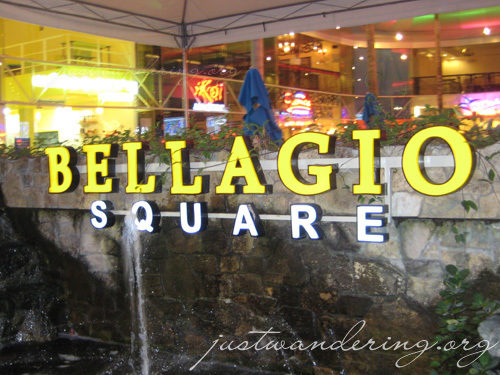 In the most unassuming of places stand Bellagio Square, a dining and entertainment center in Malate, Manila, with facilities for dining, health, beauty and wellness. Located in Jorge Bocobo street, it’s just a short walk from Robinson’s Midtown Mall. So why go to Bellagio when you can stay at the mall? For one thing, Bellagio houses dining establishments that you wouldn’t find in the malls. There’s Hellas Taverna, a Greek restaurant with the trademark whites and blues and serves amazing Greek-style coffee; Simorgh, a Persian Halal restaurant with yummy kebabs and deligthful Basmati rice; Yin Lok Kui, a Hong Kong restaurant with great pica-picas and desserts; NAHA, a Japanese-Korean Shabu Shabu restaurant with an amazing dining area on its 2nd floor, and; Patio Guernica, a Spanish restaurant with its sinful Paella, fresh juices and gorgeous antiques. There’s also White Berry, a frozen yogurt place that serves both plain froyo and berry-infused froyo with optional toppings, and Koi, a Japanese-inspired bar & restaurant that has serves a great Tequila Rose shake. There are also health, beauty and wellness shops like Bio Essence (whose architect made a spectacular effort in maximizing a 50 sqm space), Mi & Me (a very cute and very pink Nail art salon) and Tony & Jackey salon (featuring Korean stylists. Surprisingly, most of their clients are Filipino). There’s an open square in the middle where people can hang out and watch live bands in the weekends. My favorite feature of this place though is its free Wi-Fi. If I just live nearby, I’d always hang out at Bellagio Square. Huge thanks goes out to Mr. Leoncio for taking us around Bellagio Square. Go kayo Rotch! It’s a pretty nifty place. Just a short walk from Robinson’s Ermita. I went there also. Awkward location but it seems nice. The Greek restaurant was nice ran by a real Greek gentleman. He was really nice and introduced us to everyone and the service there was top notch. He seemed like a great guy. Food was real Greek so I can’t complain. I forgot the name of the place though. I have his business card somewhere. How’s the Paella serving at Patio Guernica? Good for how many persons? went to koi bar, the chinese owner was drunk and i saw him waving his gun at the bar. never going back to this place. i thnk i saw that incident…a couple of cops went by the place to check some things out. dunno, am not sure. beauty and wellness. 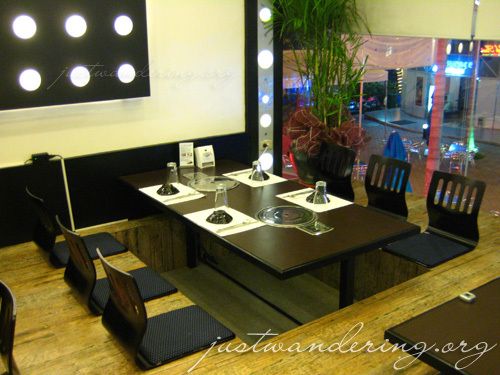 Located in Jorge Bocobo street, it’s just a short walk from Robinson’s Midtown Mall. So why go to Bellagio when you can stay at the mall? it should be SO WHY GO TO MALL WHEN YOU CAN STAY AT BELLAGIO….. This is really a must see-place! 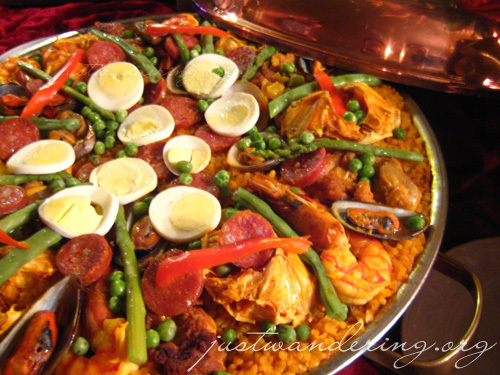 For your question dhonjason, paella of guernica is good for 4-5 persons, yummy and terrific! see and try for yourself! The place is a great get away place except for the waiters and receptionists that attack guests coming in, trying to plead their case so that the guests would go to their restaurant. the scheme is ok but in their style of marketing it more of “Guerrilla” tactics, so blunt that the guest would either go into Bellagio or go elsewhere seeing a mob go after them… one particular group that does this type of marketing so bluntly is KOI bar/resto. Their staff would go to the extent of blocking other restaurants doors and force these guests to still reconsider to go to KOI. i am not just the one to observe this but i have heard this story so many times over and KOI is the main culprit to this Bludgeon attack on to would be Bellagio Square’s guests… what does the owner of Bellagio have to do in order to police this harrasing system??? Ever wondered how airline food is prepared?